I love to experiment by using natural products or making scrubs, face masks and things out of products I already have around the house. I came across this how to make a sugar scrub (Do-it-yourself ) for your hands and thought I would share it with you. 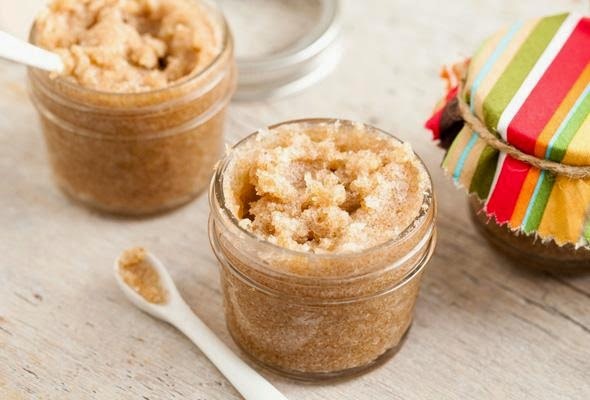 By: Debra SteilenHomemade Brown Sugar Body ScrubMake this fragrant exfoliator in your kitchen and add it to your beauty routine for extra-soft skin. *Tip: Substitute 125 mL (1/2 cup) of extra virgin olive oil or sweetened almond oil. Sugar Scrubs Make Cute, Inexpensive GiftsFor a vintage look Mom or Grandma will love, store the scrub in a clean Mason jar with a galvanized steel lid. Wrap thick twine around the neck, and tie it into a shoestring-type bow. Looking for a shower gift in the bride’s wedding colours? Package the scrub in a clear glass jar with a stainless-steel lid. Wrap the desired colour of taffeta ribbon around the lid and tie it in a bow. Tuck a small silk flower between the ribbon and the jar for added charm. Need a trendy gift for your best friend? Package the scrub in a clean canning jar. Wrap colourful Washi tape around the canning-jar lid. Create a colour-coordinated label on your computer and attach it to the front of the jar with crafts glue.